2l. brown-bistre in mint pair. 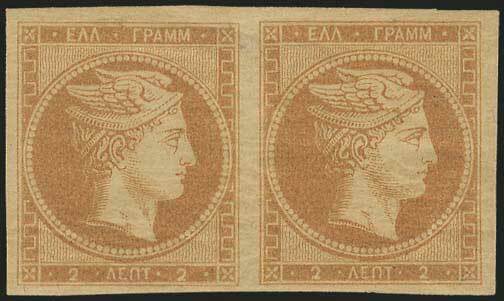 Good-large margins all around but right stamp with light gum crease. (Hellas 2c).